If you thought the Pacific Northwest was the only place that grungy music could be cultivated, The Twindows are here to tell you to think again, with their debut album Valkyrie 2.0, out now on CD and digital download. Perhaps just as grimy as the I-5 corridor that links Seattle and Portland is the gritty industrial graveyard that is central Pennsylvania. Once the center of the western world’s steel industry, the advent of technology and declining number of labor jobs in America has left much of the region in economic and social peril, similar to many other blue collar parts of the United States. But in times of trouble, it seems that one thing can always be counted on; good music will always emerge and get us through. And after listening to Valkyrie 2.0 today, I can attest that these devout Penn punks are doing more than their fair share to relieve the burden of American life in 2018 (not that life abroad doesn’t look a little stressful, too). Broken into a eleven different stop-start slices of alternative bliss, Valkyrie 2.0 is very careful to avoid self-indulgence in its musical attack and lyrical prose, which are both refreshingly stripped down to nuts and bolts. Highlights from the record like the songs “Forgiven” and “Instigator” jam the hardest probably thanks to their lack of pomp or studio polish. Maybe it’s just me, but I hear a healthy appreciation for the Stooges in The Twindows’ music that gives their style an added garage rock texture not often found in other post-Nirvana alternative acts. The most unorthodox thing about The Twindows is probably the way their music seems to meld together despite the kill switch Pixies dynamic. Every song seems to set us up for the following track, an exciting arrangement that makes the entire record feel like you’re enjoying a live show as opposed to a studio effort, which is something when you consider that many bands can’t even come close to playing their studio recordings in a live setting without the assistance or prerecorded loops and samples. 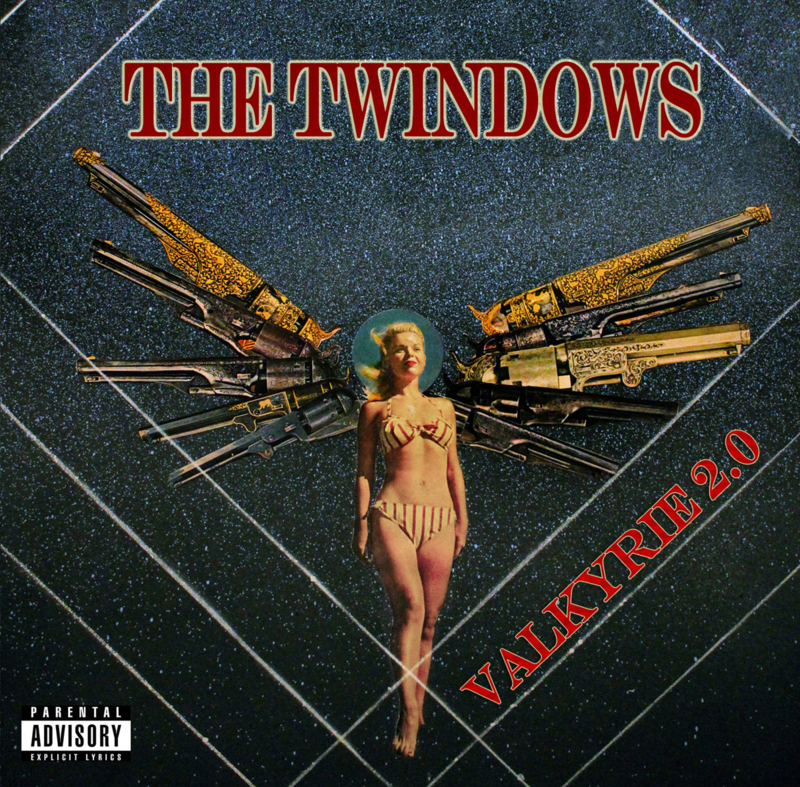 The Twindows reject all of the modern auto-tune culture with Valkyrie 2.0 with stunning results. After enduring a decade of music that lends far more to blending in than it does to standing out and being original, this album is finally ushering in a real alternative to commercially hijacked hard rock music. Personally I’m hoping to see more acts like The Twindows emerge from the margins as we get ready to enter a new decade and era in pop culture, because we can all agree it has been a while since we had a true aesthetic revolution, no? Make sure to look out for the Twindows to be rolling through a city near you in support of Valkyrie 2.0, which is out now on Amazon, Bandcamp, Reverbnation and Apple Music. For more information on the band, their story and their craft, visit facebook.com/thetwindowsmusic, follow their Instagram page @the_twindows or visit their official website at thetwindows.com.